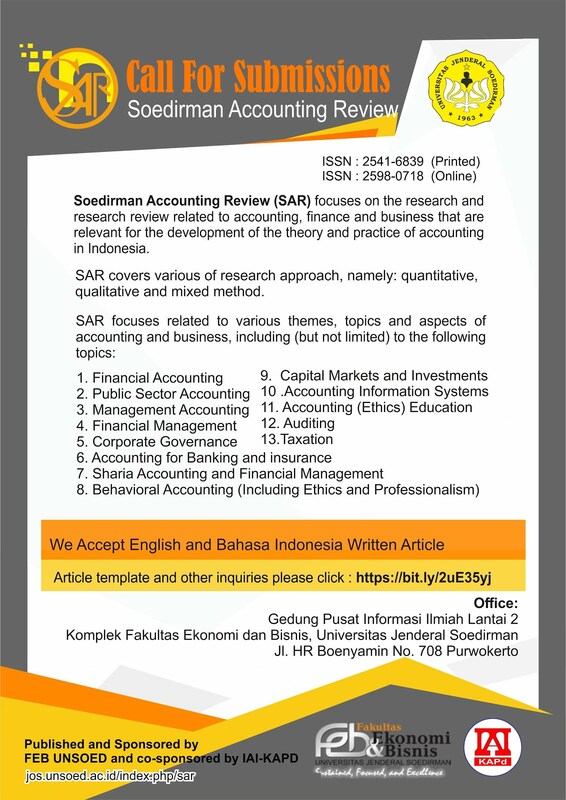 Soedirman Accounting Review: Journal of Accounting and Business is a peer-reviewed journal which should follow the academic and scientific protocols for publication. Soedirman Accounting Review: Journal of Accounting and Business requires all publications to abide by the ethical principles on academic publishing. Therefore it is necessary to provide a guidance of ethical standard for all stakeholders.